Since I love the John Frieda Brilliant Brunette line, I wanted to give the Pantene line for brunettes a try. I have natural dark brown straight hair, and sometimes my color can get a bit bland looking. I like to use conditioners like this one to help bring out the highlights and low lights of my hair naturally. Not only does this conditioner bring out my naturally gorgeous red highlights, it gave my hair a lot of moisture. My hair was light, airy, soft, and easy to comb through. I noticed my hair was a lot less frizzy. My hair was conditioned without being weighed down like a lot of other conditioners seem to do to my hair. The main thing I liked about this condition is the shine and color it gave to my hair. This works exactly the same as the John Frieda line. I would recommend this for brunettes or for anyone who dyes their hair brown. This will keep your hair looking natural and great. Effectiveness This product brought out my natural red highlights and lowlights while conditioning and moisturizing my hair. My hair was a lot more shiny and less tangled/dry then it usually is. Scent I love the scent of Pantene products, they make your hair smell fresh and like you just stepped out of a salon. 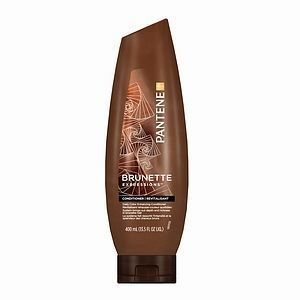 I tried this conditioner because I heard it worked very well so I decided to give this pantene brunette expressions conditioner a try. I automatically loved my hair after I seen a difference in it. My hair was more vibrant and my brown. It brought my dull brown back to life with it looking more shiny. It doesn't have dye or ammonia in it. It doesn't deposit color it just enhances the brown that's why its for brunettes. I instantly felt and seen a difference when I used this conditioner. My hair feels soft and its smoother. I never have any tangles and my hairs vibrant and rich in color. Its not that expensive its at a reasonable price. It smells realy good too I love the smell of it. I think all pantene products smell good. All you need is a little bit. It doesn't make my hair feel greasy or oily. When you apply this conditioner never apply at roots first apply at the ends first then work your way up with whatever you have left on your hands for your roots. You will see and feel a difference with this conditioner. Pantene Brunette Expressions conditioner is my absolute favorite conditioner! 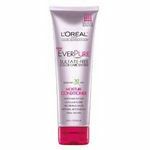 It is for color-treated hair, but even since I stopped coloring my hair, I still use this conditioner. Leaves hair soft and manageable: Brunette Expressions conditioner makes my thin frizzy hair so soft -- but not greasy! It also leaves my hair very manageble -- no more combs stuck in the tangles in my hair. Leaves hair shiny: It makes my hair look really shiny but again, not greasy! My hair is usually flat brown, but this conditioner seems to give my hair some depth and makes it look healthy and clean. Does not weigh hair down: My hair is thin and tends to get weighed down easily. Even though this conditioner is thicker than what I have used in the past, it doesn't weigh down my hair! It leaves it straight, but not frizzy or dull. Overall, since I started using Pantene Brunette Expressions hair conditioner, I have gotten so many compliments on my hair! I highly recommend! I've tried **Pantene Brunette Expressions Conditioner. **While I say that I'm not in love with it, that is because It does not much to enhance or deepen the brunette color. I had hoped it would do that to get me by while waiting for my next hair coloring. The good side to this product is that it definately does smooth out the frizzies and leaves your hair feeling conditioned and healthy. Also, it does nothing to harm color treated hair. 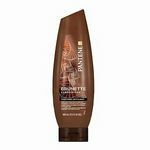 Pantene Pro-V Brunette Expressions Conditioner -love it!!!!! I have a lot of gray hair anymore and color it. One thing about gray hair is the "frizzies" I now have. My hair used to be as straight as a stick and I never had hair that stuck out everywhere even after using a straightener but I do now. The Pantene Pro-V conditioner really seems to help my frizzies. I had ran out of this conditioner and bought another brand which worked fine except it seemed to make my frizzies worse! 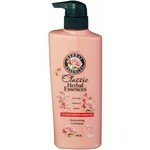 I have found this with the other conditioners I have tried. The Pantene Pro-V conditioner is the only one that seems to help this problem. I have bought different products just for the frizzies but they sit on a shelf unused because they either didn't work or my hair looked oily and stringy by the next day. My hair is very dry and I don't wash it every day. The conditioner also does a fantastic job keeping my hair shiny and soft. It never makes it look oily or stringy, but my hair is very dry. I would certainly recommend giving it a try if you have hair like mine. I love this conditioner! It makes my hair feel so silky smooth and it smells great. As a conditioner, I absolutely love it. As a color-enhancer, it does not do a bit of difference. I am a natural brunette, without having colored my hair at all. This conditioner claims to help make a difference in enhancing color, but I didn't notice a difference. However, I didn't expect it to, and I really didn't care about that. I am more concerned with a conditioner actually conditioning my hair, and this one does the job. It's definitely superior to other conditioners I've used. I don't feel like I have buildup. It just makes me hair smooth and silky. You don't need a lot--don't use too much. Leave it in for a minute or so. I noticed it does better when you don't leave it in too long. If you leave it in too long, it seems to dry out the hair, or something like that, or at least it did for me. I would recommend this conditioner. This conditioner does what a conditioner is supposed to do. It keeps my hair moisturized and frizz free, but does it enhance my hair color? That I'm not so sure about. I am a natural brunette with natural red highlights. I think I have noticed the red being brought out a little more than normal, especially in sunlight, but other than that, no difference from other conditioners of its level. I didn't buy the product for the color enhancement, so I'm not disapointed. I simply needed a cheap conditioner and that is what I got. I have been using it in conjunction with the John Frieda brunette shampoo, so I don't know if that comprimises or enhances its performance or not. (Perhaps its the John Frieda that's bringing out the red?) I'd say if you were looking for color enhancement with this product, don't waste your money. 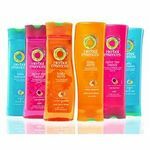 Buy your normal conditioner from Pantene or wherever you normally purchase it from.